SANTA ROSA, CA—In one of the largest-ever exhibitions of photography related to the late cartoonist, Charles Schulz’s estate on Monday released hundreds of rare, never-before-seen images showing the Peanuts creator posing next to an easel. 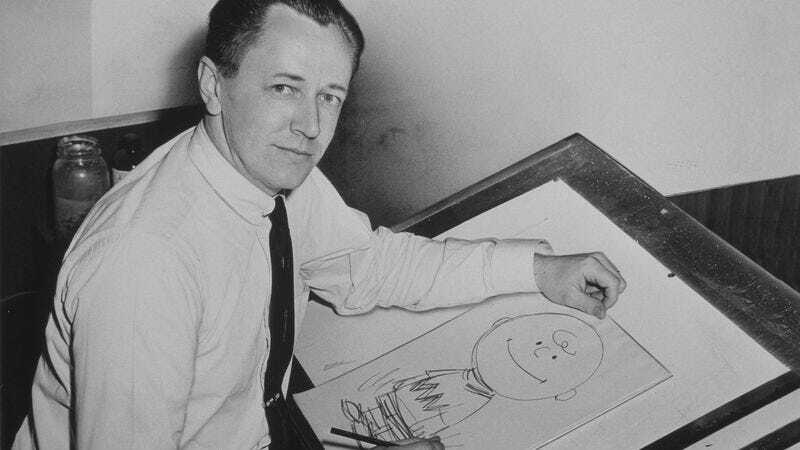 “Fans and scholars alike will be captivated by these newly released photos of Schulz and an easel, particularly the one from February 1974 showing him looking back over his shoulder while filling in the sketch of a half-finished Snoopy,” said Charles M. Schulz Museum director Karen Johnson, adding that the collection includes over 200 images where Schulz is shown smiling and winking at the camera with pencil in hand. “In addition to the many photos of Schulz posing in front of an easel displaying Charlie Brown, there are also one-of-a-kind pictures such as an early image of him working at his easel over a Peanuts strip featuring Linus and Lucy. We even have one where he’s standing on the left side of the easel, instead of the right.” Johnson went on to say that all of the newly released images would be added to the museum’s permanent collection alongside over 30,000 pictures of Schulz posing playfully in front of a backdrop with life-size Peanuts characters.